Ulitimate Bucket List Things to Do in Texas for the Entire Family! Whether you live in Texas or want to plan a trip, there are many events and activities and things to do. Looking for things to do in Texas? 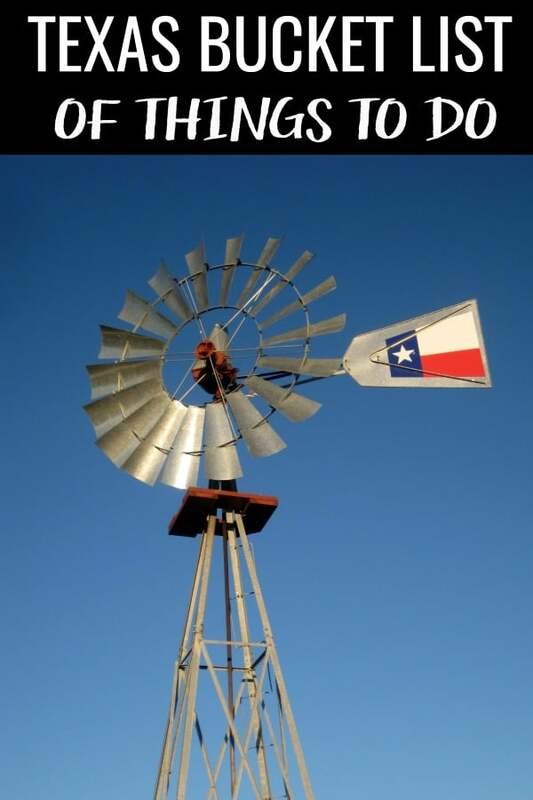 Here is a great list of bucket list things to do in Texas. Texas offers the ultimate road trip. Start in Dalhart, which is in the panhandle. 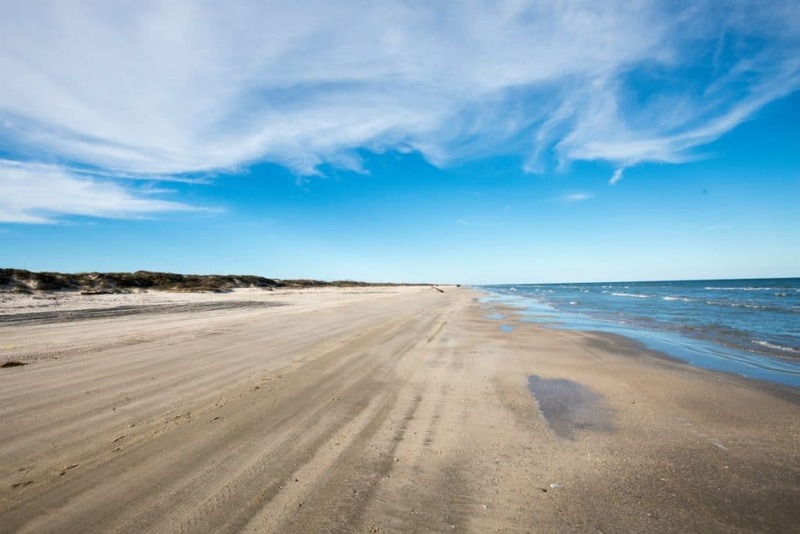 Drive to Brownsville to see where Texas, Mexico, and the Gulf come together. While you are driving you’ll come through many of the big cities in Texas, but you will also drive through places like the Rio Grande Valley, which is both desolate and fascinating at the same time. The more you drive, the more you will see. While the Texas State Fair is in late September through October, so it isn’t something that can be done at any time, it is still something that must be done, at least once. 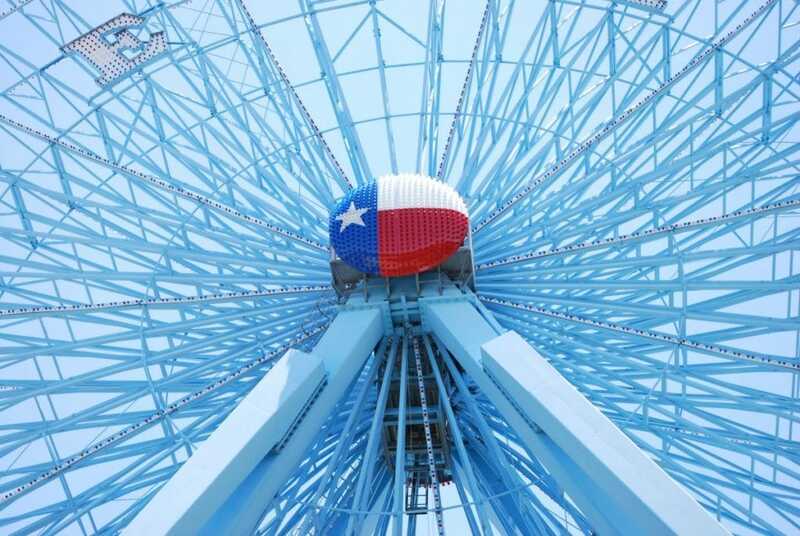 Everything is bigger in Texas and that goes for the State Fair too. There are family shows and live music. Animals to see and art to look at. There are shopping and football and a big dose of culture. Last but certainly not least, delicious fairground food, like corn dogs and fried cookie dough. Camp out with the exotic animals at the Fossil Rim Wildlife Center in Glen Rose. 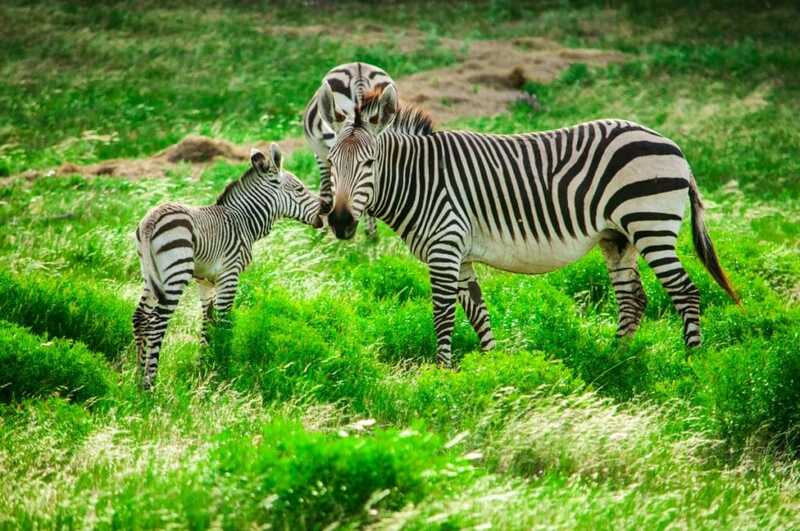 There are 50 species of native and non-native animals, over 1,100 animals in the 1,800-acre center. 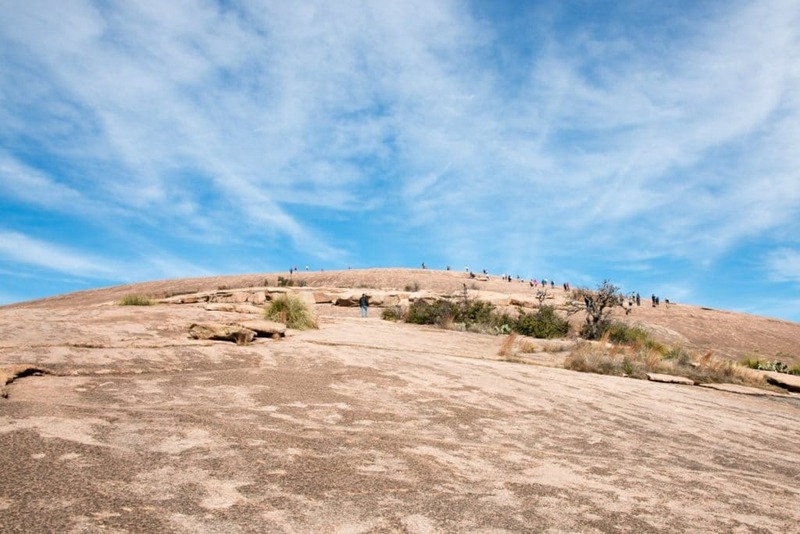 Enchanted Rock is the 2nd largest granite dome in the nation. Once believed, by native tribes, to be haunted, the rock had magical powers and the legend says that anyone who stays overnight become invisible. If you are visiting the park, be sure to arrive early because the park normally fills to capacity on Saturdays, Sundays and school holidays. Once the park is full, the next 200 vehicles in line will receive a voucher for entrance into the park that afternoon. Anyone with a camping reservation is able to enter the park at any time during the day. 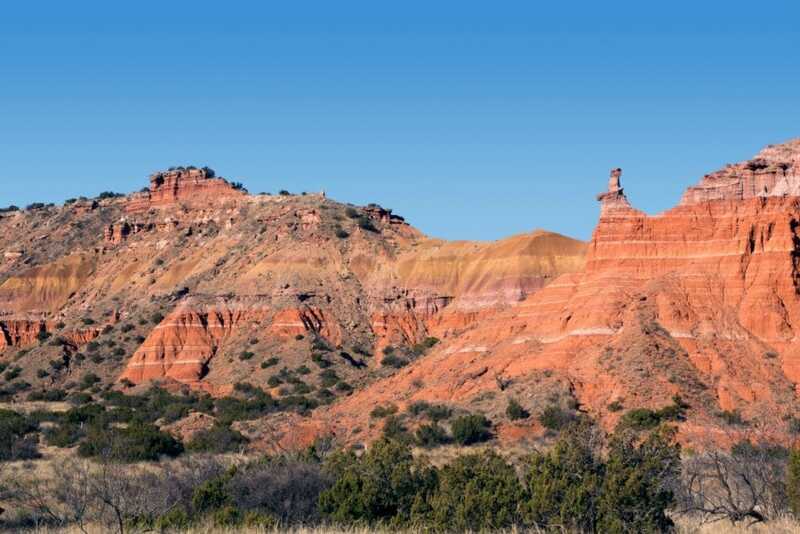 The Palo Duro Canyon State Park, stretching 29,182 acres, opened in 1934 in the northernmost part of Palo Duro Canyon. It is the second largest canyon in the country and lies in the heart of the Texas Panhandle. The canyon is 120 miles long and almost 20 miles wide with a depth of 800 feet. There are many ways to explore the area: on foot, in a car or even on horseback. Humans have lived in the area for 12,000 years, from Apache tribes to Comanche and Kiowa tribes until 1874. The area is full of history and is simply gorgeous. Each year the endangered Kemp Ridley sea turtles come ashore Padre Island to nest before returning to the sea. The workers and volunteers at Padre Island collect the eggs and take care of them until the eggs hatch. Visitors can come on the turtle release dates during June and July and help protect the tiny turtles as they take their walk to the sea. Pin this bucket list of things to do in Texas! Do you have any other things you’d add to your Texas bucket list?! Share them with me on Facebook here!